A nod to the Battle of Diem Bien Phu May 1954. The Damn Bien, my duck confit bánh mì, is a nod to the famous Battle of Diem Bien Phu when French colonialists fell to the Vietnamese. The battle raged from March to May 1954. My own mother and her family left Saigon for Paris between 1967 and 1968. 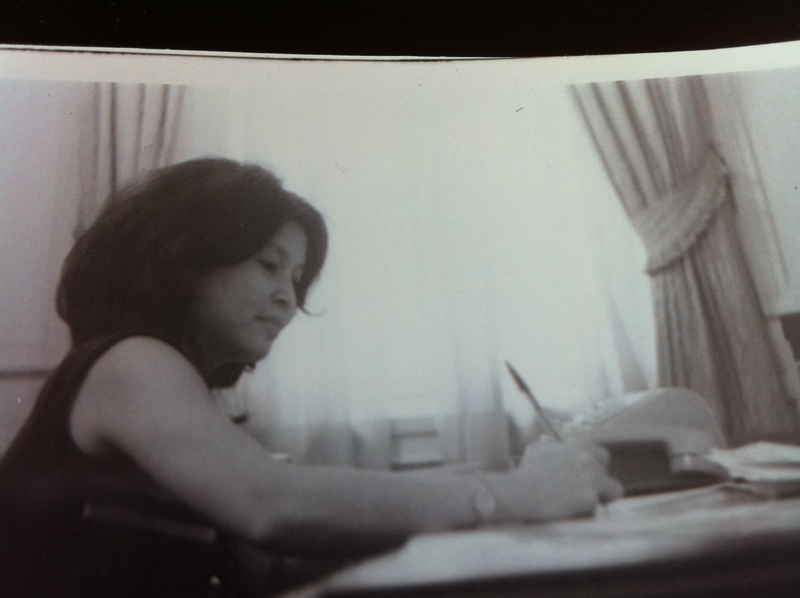 Shortly after the move to Paris, my mother moved to Washington, DC for a job with the Vietnamese Embassy. While I was born in the States, I did grow up romanticizing what it would be to live like an expat in Paris. Of the many things learned about my mother’s country is this gem: the general sentiment of the Vietnamese is that French is the language of power and love, English is the language of commerce and Russian is the language of quarrels. To me, nostalgia is the language of inspiration for the different types of bánh mì I’m making and writing about here. 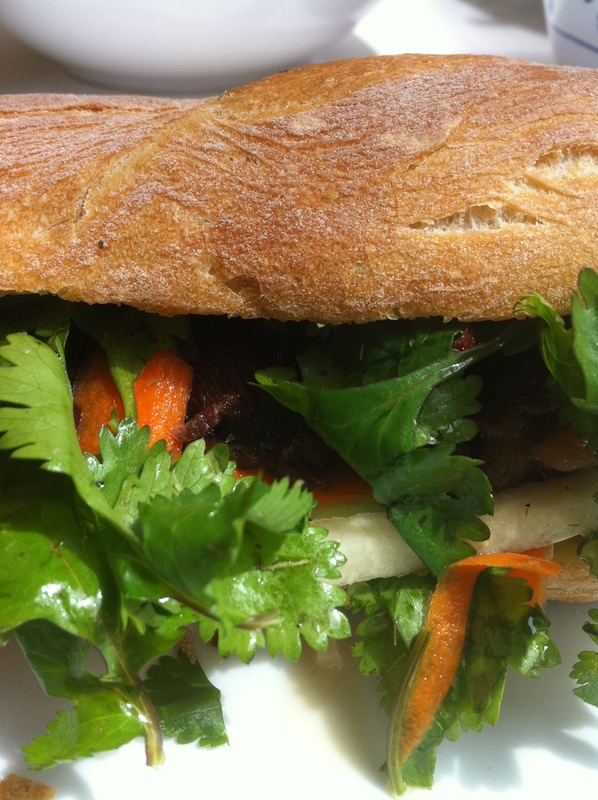 The Damn Bien (aspiring to be ‘damn good’) bánh mì contains the specially dressed fresh carrots, jicama, cucumber and cilantro surrounding the French comfort food of sumptuous and crispy duck confit hash I fried. I experimented with my dressing today and added a few teaspoons of soy sauce to round out the bite of the vinegar and jalapeño. As always, I made my own aioli. Instead of a fresh garlic clove, I sprinkled 1/8-teaspoon of granulated garlic. I like this solution because fresh garlic can dominate and taste too bitter in the subtle aioli. I’m still trying source great bread that fits the tiny banh mi criteria, but it’s a little tricky. I may resort to making it. [When I heard about Delicious Vietnam #14 (hosted this month by Rau Om), I submitted the post I wrote above. 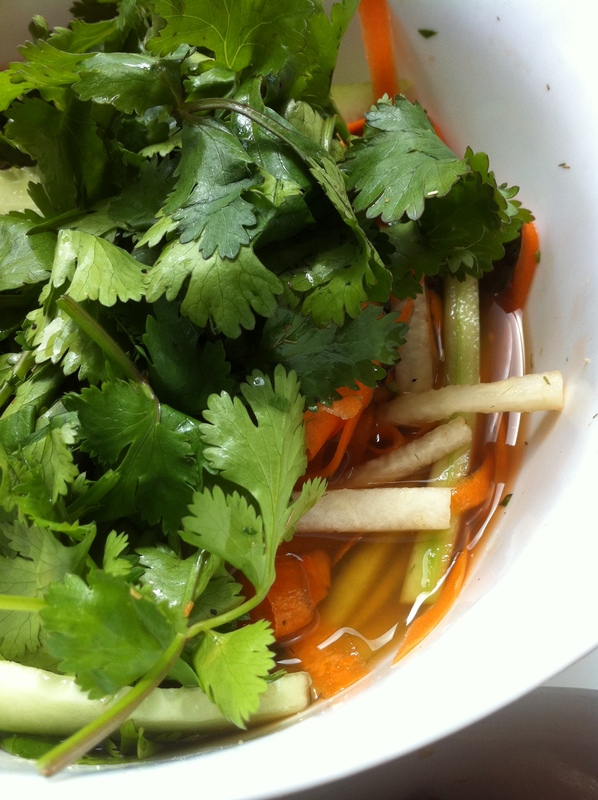 Delicious Vietnam is a monthly blogging event celebrating Vietnamese cuisine which was started by Anh of A Food Lover’s Journey and Hong & Kim of Ravenous Couple].